The three companies are planning to meet in Amsterdam later this week to discuss the Ghosn crisis. Ghosn, currently in jail in Tokyo, could face up to 10 years in Japanese prison if he ultimately is charged and convicted for concealing as much as $45 million in income and using Nissan funds to purchase personal homes in both Brazil and Lebanon. But some observers are questioning why Nissan chose to turn the matter over to prosecutors rather than resolve the matter directly, as a number of competitors have done when senior executives were accused of financial misdeeds. What’s clear is that there was seriously bad blood between Ghosn and Nissan CEO Hirota Saikawa. That became clear when, at a news conference in Nissan’s Yokohama headquarters last Monday, hours after Ghosn’s arrest, Saikawa declared "I feel strong anger and disappointment” over the results of an internal corporate investigation that was kicked off by what Nissan described as a “whistleblower” report. Saikawa has continued to speak harshly, though that might not be surprising in a country that puts high value on “face," which is believed to reflect the honor of an individual or company. And, in the wake of a number of recent scandals in the country’s business community, it has become even more critical, according to some observers. “The first thing (Nissan) has to do is regain credibility,” Eric Schiffer, chairman of Los Angeles-based Reputation Management Consultants, told NBC News. He said he expects “a pretty thermonuclear series of statements” about Ghosn to come from Nissan. Nissan’s actions upon discovering Ghosn’s alleged financial irregularities were intense, said some industry analysts. 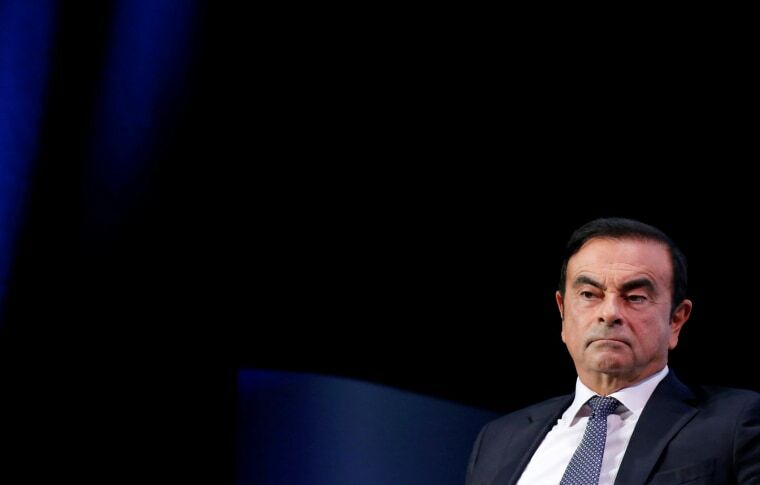 Ghosn had been under pressure by the French government — Renault’s ranking shareholder — to consolidate the three independent members of the Renault-Nissan-Mitsubishi Alliance into one company. Renault is the only one of the triad that has decided not to completely sever its ties with Ghosn, choosing only to install a temporary head while the executive remains in Japanese custody. Any further actions, officials said, would come after the results of the ongoing criminal investigation. What will happen next is far from certain. Last week, Masuko raised concerns that Ghosn could be the only person capable of holding the alliance together. Nissan, meanwhile, may be moving to put more distance between itself and its French partner. Three years ago, it took steps to position the two companies as what Saikawa called “equal partners,” reaching an agreement that limited the say of the French government. Today, it announced it would seek to limit the ability of Renault to nominate members of the Nissan board. It will also seek an equal say in the appointment of any future head of the umbrella group, the Renault-Nissan-Mitsubishi Alliance. The three companies are planning to meet in Amsterdam later this week to discuss the Ghosn crisis and other issues.